Each Year, the Electric Vardo Tribal Fest AfterParty brings you a hand-picked selection of top notch performers, from the biggest names in belly dance to hidden gems, featuring exclusive performances that you will only see here. QABILA FOUNDATION (Los Angeles, CA) – featuring the Qabila Drum Corps. 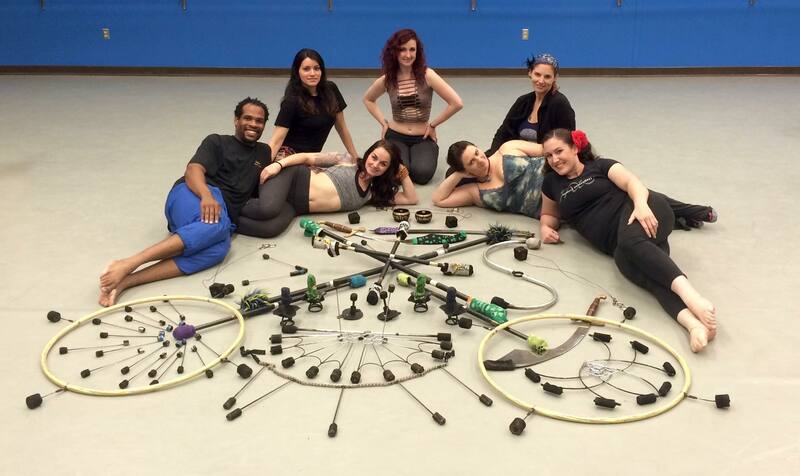 and Qabila Folkdance Co. directed by Aubre Hill. FLOW SHOW (Glow Arts) by MANDALA DANCEWORKS. Note: Kitchen at the Hopmonk is open till Midnight. You can make dinner reservations at 707.829.7300 (recommended). Ask for a table in the beer garden so you can be there for the show. Doors at 9pm. Music and performances will begin at 9:30.The unFire Flow Show will begin at 10:15pm. Inside performances will begin at 11pm. Live Music, DJ Sets and Performances will continue till last call (1:45am). Slight time adjustments may happen (up to 15 minutes early or late on performances, depending on Tribal Fest end time. Final Schedule will be up a couple of days before the show). Two years ago, we introduced a new element to the outdoor area, featuring improv. dance performances and even the fire show set to live acoustic music. That first year of acoustic performances featured HELM and DAN CANTRELL with SOOOZHYQ & ELIZABETH STRONG – last year we continued the fun with BEATBOX GUITAR and HELM. We will be bringing back the Beer Garden show again this year with PETE LIST, together with JEREMIAH SOTO of SOLACE, and the QABILA Drum Corps. Improvisational Dance Performances! Improv. Fire Show (NOTE: Due to a county-wide ban on fire performance, the “fire” show will be modified to an LED Flow Light Show) set to Live Music! Acoustic Live Lounge improv FIRE (LED FLOW) SHOW and performances with music by PETE LIST of BEATBOX GUITAR with JEREMIAH SOTO of SOLACE. The QABILA DRUM CORP will bring you the Welcome Show with Live music and performances. 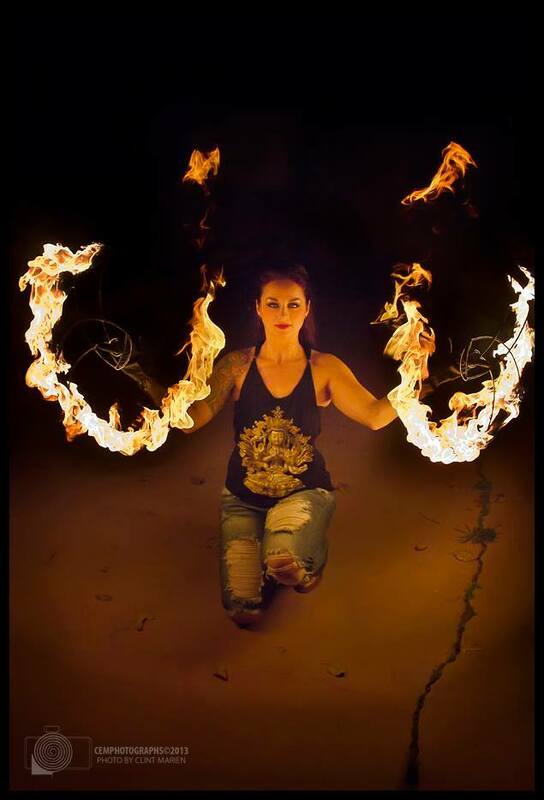 MANDALA DANCE WORKS will be spinning and swaying with all of their custom props made especially for the fire show (Modified to LED Flow / Glow Arts due to recent county regulations prohibiting fire), and we’ll be bringing it inside to the Abbey with VERBATIM (Smoke’n’Swords) joining Amar & musicians! And, as usual, quite possibly some surprise guests in the mix. Tickets are on sale for the Electric Vardo Tribal Fest AfterParty on Saturday, May 16, 2015. You can also order tickets On Friday at DJ Amar / Calamity Sam / Karolina Lux’ vending table in the Blue Room. NOTE: Entrance is from the back gate to the beer garden in the parking lot. You will walk past the restaurant front door and walk through a gate at the end of the fence. Stage Performances begin at 11. Open Dancefloor DJ Sets (with improv. performances) and live music following Stage Performances. Do you have to be 21 or older to go to the AfterParty? Yes. The venue is 21+. Unfortunately folks under 21 will not be able to attend. On that note, make sure to bring your ID for entry, and to check in if you’ve bought tickets in advance. Yes. The kitchen will be open until atleast 11pm, possibly midnight. You can make a dinner reservation to sit inside of the restaurant or grab a table in the beer garden and order food. If you’re in the beer garden, you’ll probably have to go inside or politely flag down a server. Will we have enough time after Tribal Fest to get there so we don’t miss the performances? Yes, as long as you come right after Tribal Fest. You won’t have time to go out to dinner at another place, unless it’s a quickie meal. Doors open at 9pm. Performances start at 10:30, or 1 hour after Tribal Fest ends, but no later than 10:45 each night. Tribal Fest is scheduled to end at 9:30pm. Will there be Dancefloor time? Yes! One of the major features of the AfterParty is dancefloor time and mingling time. We have just around an hour of performances, followed by a couple of hours of DJ sets so you can shake out your day and enjoy the music. The beer garden outside is a great place to mingle, have some beer or wine or just chill. You’ll have the choice of winding down outside or winding up inside during the late hours. 1:45 / 2:00 am. California bar hours are until 2am. The bar will usually make us stop playing music at 1:40-1:45. Last call is at 1:40 to get drinks at the bar. The bar has to be cleared of people by 2am. $30 at the door if you come for the show (if available). (for the last couple hours of dancefloor time. We usually have some late night surprises too). It is recommended that you get your tickets ahead of time for 2 reasons. (1). You get a discounted price. (2). You will get in. We never know until the last minute whether the event will sell out or not. Most years, we have had tickets at the door. Last 2 years, both nights were sold out. The year before, Saturday night sold out. The year before that, Friday night sold out. We did have tickets at the door but we were at capacity shortly after everyone arrived to the afterparty from Tribal Fest. Does it make a difference if we arrive early? Yes. the first people through the door get the best spots to see the performances. It fills up quick. The stage is raised but low. We encourage people in front to sit on the floor to watch the show, so people behind them can see the stage. Keep in mind that – as this is a Standing Room Only Club style show, you may want to arrive early to get the best spots to view the show. We do have a screen behind stage, but it does get a little washed out from the stage lighting. Where do we get tickets? Your best option for discounted tickets is from our Ticketing Page, to ensure entry in case it sells out – and to save a few bucks. The venue sells tickets online with higher ticketing fees – though you can stop by the venue on the week of Tribal Fest and buy tickets onsite without added fees. Best deal, however, is getting your tickets early. No ticketing fees are added (well, they are but we pay them). Post any additional questions in the comments section. Click HERE for Tribal Fest info. More photos, slideshows and video links to afterparties over the years will be posted here, once we get a chance to gather them all. In the meantime, you can find some photos on the facebook page and take a peek at some of these videos we found online -some taken and posted by people in the audience, some by our videographers, some by us. Michelle Sorensen – Featured 2-night performer at 2013 AfterParty – Friday night Solo. Suhaila Dance Company 2013 AfterParty Friday Night. A little backstage drunk love from Karolina Lux, Nagasita and Luther -aka- The Mata Hari Hustle – 2-night Special Feature Act 2012. Exotika from Barcelona and Sevilla, Spain. Exclusive Featured AfterParty act, 2012. Video Montage from 2012 featuring Olivia Kissel’s late night performance closing out the bar at 2am – Pixie Fordtears, Calamity Sam, Martina, Edenia performing improv during Dulce Vita’s DJ set – THe Mata Hari Hustle – Exotika’s encore improv with DJ Amar & Pete List beatboxing live.